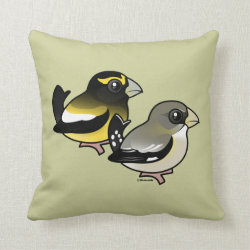 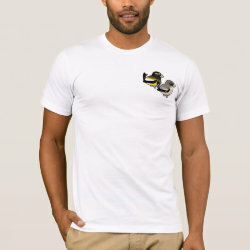 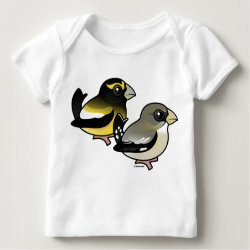 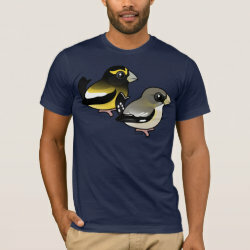 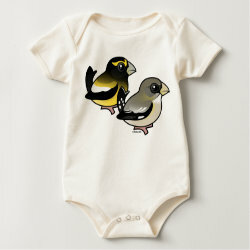 The Evening Grosbeak is a stocky finch with a heavy, thick bill. 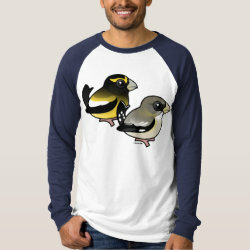 Males have yellow foreheads and bodies, with dark heads and shoulders, and prominent white wing patches. 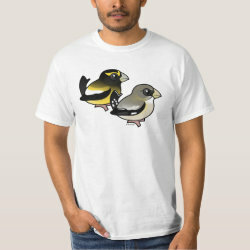 Females are olive-brown, with light underparts. 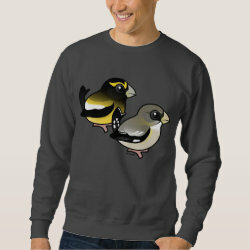 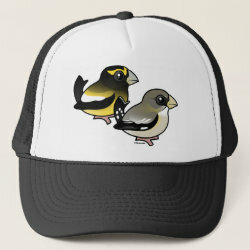 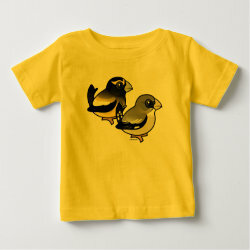 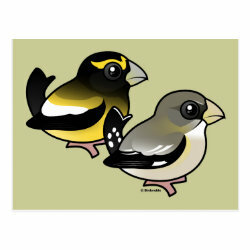 Here our male and female Birdorable Evening Grosbeaks stand together! 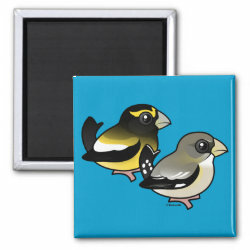 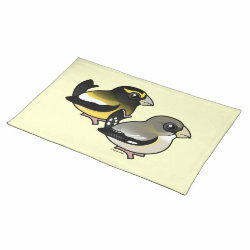 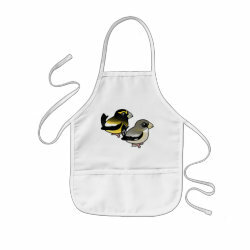 Evening Grosbeak pair Placemat 20" x 14"